"Do you teach Maths?" "Are you another Japanese right-brain training school" We are neither! 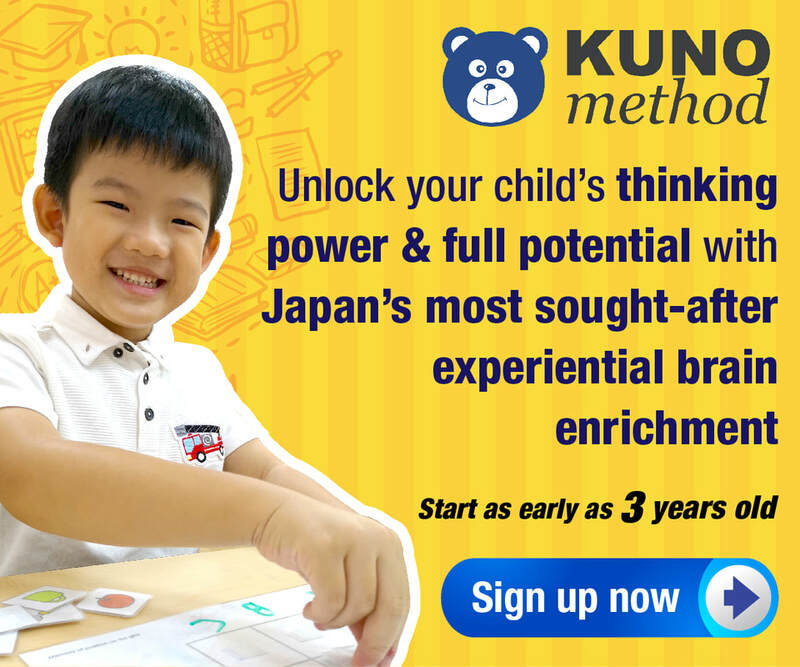 Kuno Method helps children aged between 3 and 6 acquire independent logical thinking, reasoning and problem-solving skills. 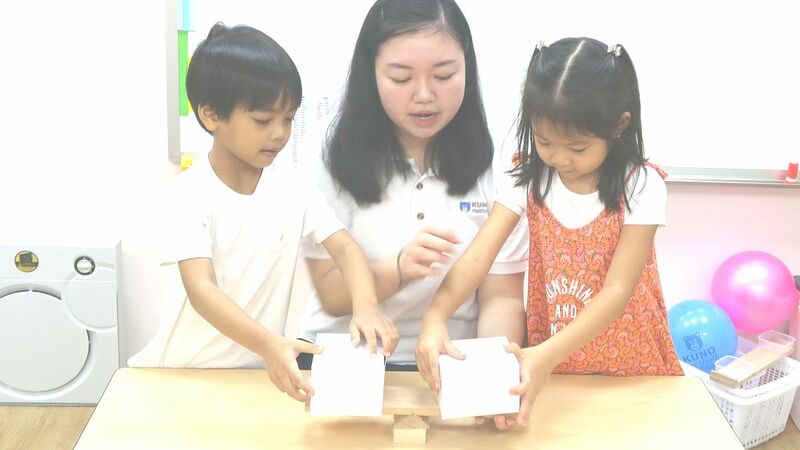 With these skills, children pick up new concepts faster, especially in Mathematics and Science. Through activities centred on concepts of measurement, children acquire logical reasoning skills and learn to solve problems systematically. These skills prepares your child for a strong performance in Mathematics and Science. Children develop a real understanding of Mathematics concepts. 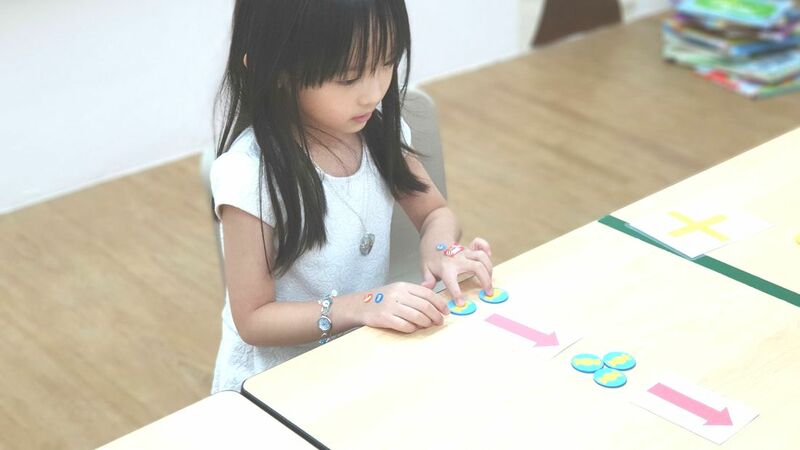 Your child confidently applies concepts to solve multi-step problems, instead of simply memorising formula or "short-cuts" to solve problem sums. Games that include puzzle-play, movement on grids and maps involve a lot of flexible thinking and visualisation. Research has shown that strong spatial abilities predicts success in the Science, Technology, Engineering and Mathematics (STEM) fields like medicine, architecture and engineering. Hands-on manipulation like shifting only one shape each time to form a new figure enable children to visualise things from different angles. As their abstract thinking develops, so will their logical reasoning, deduction, analytical thinking and problem-solving skills. 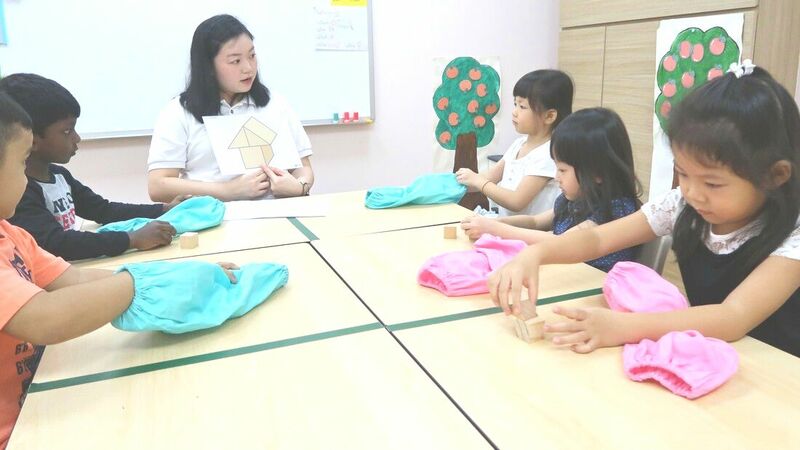 Parents are usually more concerned with their child's reading and writing abilities and tend to overlook the importance of oral communication, listening skills and comprehension. Children needs to hear not only the words that the other person is saying, but more importantly, be able to interpret the meaning behind those words. 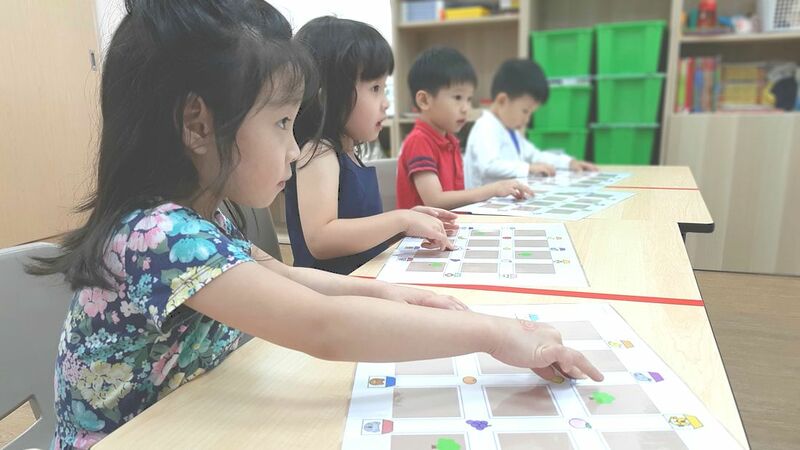 Children work on questions that resembles Math-Olympiad questions and brain teasers to learn to analyse patterns to deduce rules behind the patterns. They are encouraged to be creative and flexible thinkers to think of different ways to achieve the same result. This learning approach applies to both academic and social skills. Quote “Japan’s leading enrichment” to receive a 12-piece wooden puzzle set (worth $70) when you sign up for a term. Whilst stocks last. Terms & conditions apply. ​Sign up now for a full-length trial class at the special price of $40 (usual price: $60 to $71) at any of Kuno Method’s centres located at Buangkok Square, Northpoint City and SAFRA Punggol.